Last week was a great week for cupcakes! A friend came to visit me in the city, and after we went to a blues and bbq festival on Pier 84 (that pulled pork sandwich really hit the spot! 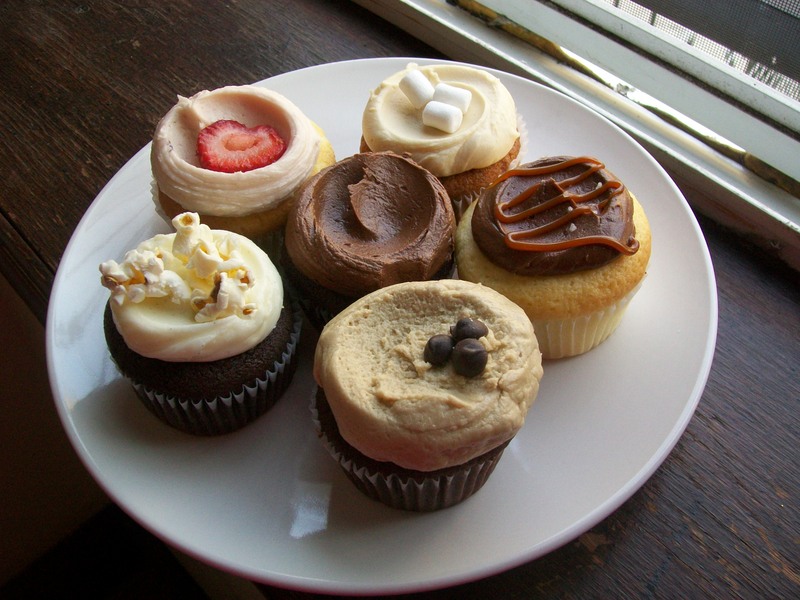 ), we went down to Molly’s Cupcakes in the West Village. There are no words to describe the heaven we were in. I had been there one time previously and loved it, but this time there was no comparison. 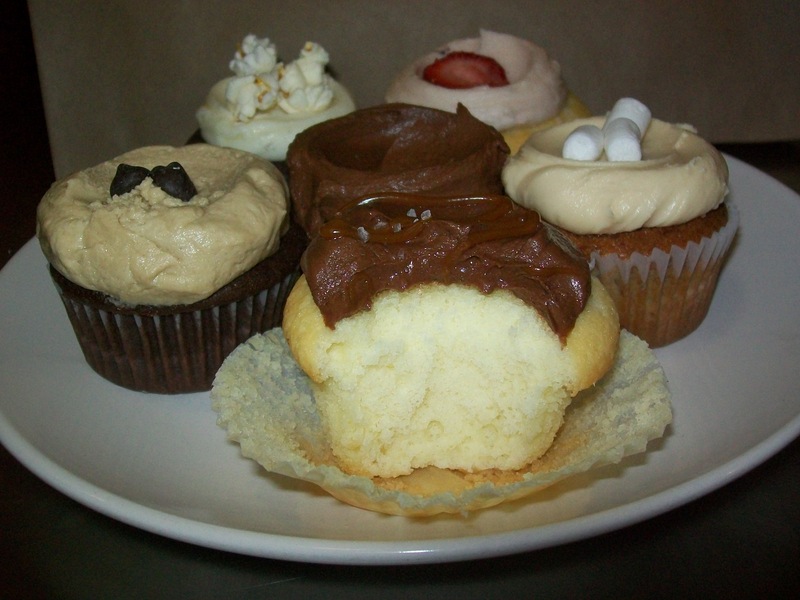 We couldn’t make a choice at first, and then I had the BRILLIANT idea to get three cupcakes and just cut them in half. I see that all the time on the blogs I follow, so how was that not the plan from when we walked in the door? Crisis averted! 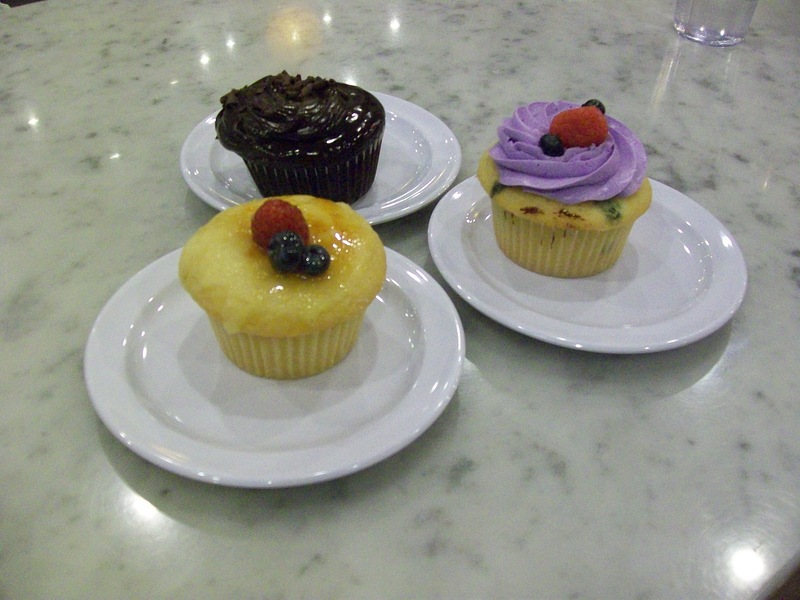 We finally chose the Mixed Berry, Chocolate Decadence, and Creme Brulee and settled into our swing chairs for some cupcake bliss. I knew from the second I cut into the chocolate one that we were in for an amazing experience. We were not disappointed. I started with the chocolate (obviously! ), and it was so rich. I don’t think I could have handled the whole thing. It certainly lived up to its name! 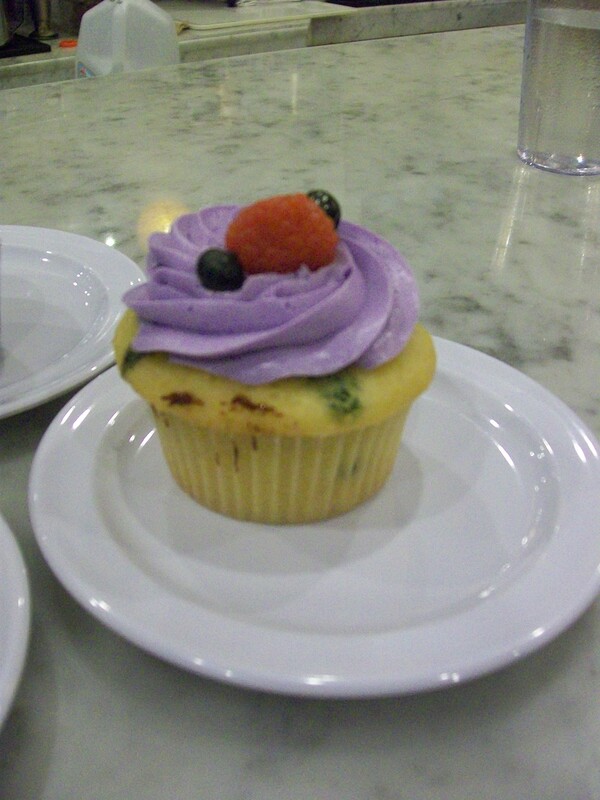 Then I moved on to the mixed berry, which was like a perfectly sweet blueberry muffin. The cake and buttercream were light and fluffy, and it was like I was eating a cloud. We each saved the creme brulee for last, since another friend was raving about it before we got there. I’m not even sure how to describe it. It had a thin glaze over a creme-brulee-flavored cake, with a custard filling. It was the perfect ending. Every so often for the rest of the weekend, when one of us would remember these cupcakes, we would both reply with an “OMG so good!” and sigh in contentment. It was almost a religious experience, and I can’t wait to make the pilgrimage again soon! Shifting gears, I finally redeemed the voucher I won for frosting the best cupcake at Butter Lane last year. I thought it would be a yummy treat for me and my new roommates. I headed over there after work, eager for another sugary indulgence. I picked out a Sea Salt Caramel, Strawberry, Salted Caramel with Popcorn, Peanut Butter Banana, Cookie Dough, and Chocolate. I knew immediately that under no circumstances would I share the Sea Salt Caramel cupcake. It was mine. It was torture waiting for people to come home so we could dig in. 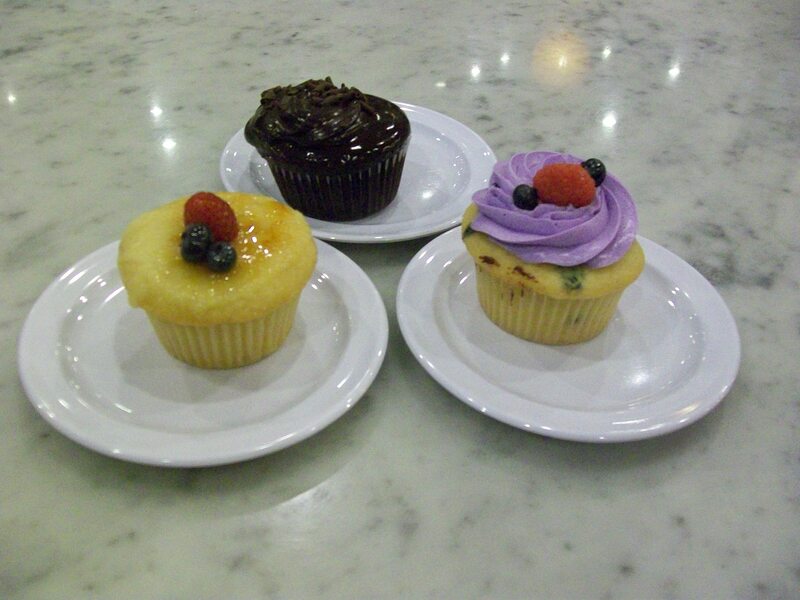 I figured we would cut the cupcakes in fours, so we could get a bit of (almost) each. When I ate the Sea Salt Caramel earlier, I had the thought that I didn’t want to share the rest, which made me all the more impatient for later in the evening. In the end it was worth it, as we crowded around the table and sampled the night away.